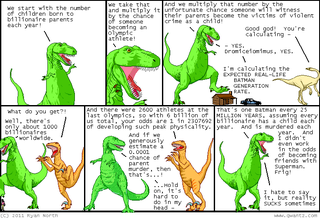 Over at Ryan North's Dinosaur Comics, the perpetually-frozen-in-one-comic-strip Tyrannosaurus calculates the "Expected Real-life Batman Generation Rate." Needless to say, the odds aren't good. North mentions that he "took the .0001 parent murder from a statistic [he] found for humans in the Americas." 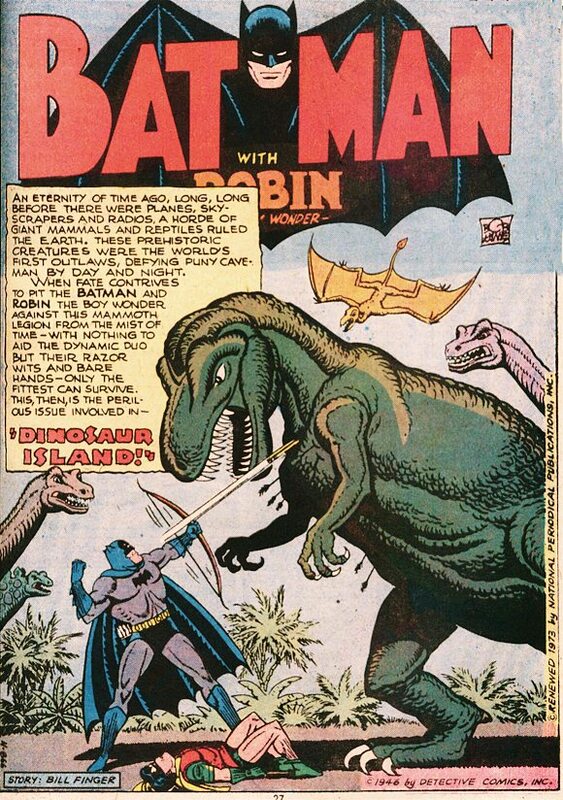 He also notes that the dinosaur murder rate was undoubtedly much higher than the present human murder rate, so the probability of a Dinosaur Batman existing eclipses that of a Human Batman.